Text features: Texts of all kinds and with all purposes have several features that intend to guide the reader and to bolster their comprehension of the reading passage. The title of a text: The title of a text alerts the reader about the contents of the text which can be a formal text or an informal text such as a memo, an announcement, a newspaper article, an email, an essay, a research study and an essay, for example. The headings of a text: Headings of both formal and informal texts are often used when the text is a longer and lengthier one than a simple paragraph or two and also in shorter texts to highlight and draw attention to some of the critical parts of an announcement or public notice, for example. The subheadings of a text: The subheadings of a text further narrow and define the content of the text headings. Fonts: The size and shapes of numbers and letters that are used in informal and formal texts. Traditional fonts: Fonts such as the Arial and times new Roman, with a 10 or 12 point size, are acceptable for the composition of formal texts. Aesthetics: The quality of a work in terms of its eye pleasing and eye catching beauty. Sidebars: Sidebars are pictures, graphics and/or texts that appear and are placed outside of the margins of the remainder of a text or within the text itself when they are walled off and distinctly differentiated from the rest of the text. These sidebars feature some important detail about the content of the text. In text citations: Those citations that occur and are placed in and within a text sporadically and intermittently to give credit to the person, other than the author, who has, or had, this thought or idea. End text notations or citations: These notations or citations are found at the end of the paper on a separate page sometimes referred to as a bibliography or reference page. The key or legend of a text: The key or legend of a text includes information about the symbols found in a text or another form of printed communication such as a map. The glossary of a text: The glossary of a text is an alphabetical listing of words, terms and abbreviations and their definitions which are found and used in the book. The glossary is typically found at the end of a book before the index. The table of contents: The table of contents has the headings, and often, subheadings, of the contents of the book. The index of a book is the last section of a book. An index contains words which are found in the book and the page or pages where the words or phrases can be found. The index: The text feature that allows the reader of the text to readily find information about the word that they are looking up. A search engine:A search engine is a computer software program that searches of information on the World Wide Web. It is similar to the index of the book. Texts of all kinds and with all purposes have several features that intend to guide the reader and to bolster their comprehension of the reading passage. Text features also help readers to organize their thoughts as they are reading the passage. As you know, texts can be in hard copy form and they can also be in other media, such as on the internet. The title of a text alerts the reader about the contents of the text which can be a formal text or an informal text such as a memo, an announcement, a newspaper article, an email, an essay, a research study and an essay, for example. The National Rifle Association: Friend or Foe? Titles, as you can see in the above list, are short, concise and capitalized; the size of their font is typically larger than the remainder of the text and the kind of font may be different from the font that is used in the remainder of the text. The title of the text should reflect and be consistent with the content of the text, its main idea, and it's supporting ideas unless, of course, the author is unskilled and NOT knowledgeable about how to decide upon a title that is accurate and appropriate according to the rules of formal writing. Headings and subheadings of both formal and informal texts are often used when the text is a longer and lengthier one than a simple paragraph or two and also in shorter texts to highlight and draw attention to some of the critical parts of an announcement or public notice, for example. The subheadings of a text further narrow and define the content of the text headings. Here are some examples of subheadings that can be found in a text. Please note that the font styles of these subheadings are the same as and identical to the headings of the text, however, the font is smaller than that of the headings. Traditional fonts, such as the Arial and times new Roman, with a 10 or 12 point size, are acceptable for the composition of formal texts. Less traditional and fancy texts can be used to for informal texts particularly when the attention of the reader is desired and/or it adds to the aesthetic quality of the work in terms of its eye pleasing and eye catching beauty. Special fonts like the use of underlining, italics, bold print are used for specific purposes and in a very limited and judicious manner in formal and informal texts. When bold fonts, underlining, and italicized fonts are over used, they lose their purpose and emphasis. Additionally, some writing styles prohibit and/or strictly restrict the use of italics, bold and underlined words and phrases. For example, the limited and judicious use of bold and italicized may be acceptable in these instances. Underlined words and phrases are used for emphasis. The use of superscript and subscript fonts are even more limited than other specialized fonts such as bold, italics and underlined words and phrases. Superscript font can be used in the citations for some writing styles such as the MLA style of writing and for mathematical exponents and with numbers that specify sequential order. Some examples of superscript fonts are 1st, 2nd, 3rd, 4th, rather than 1st, 2nd, 3rd, 4th). Subscript fonts can be used in chemical names and chemical equations. Simply described and defined, sidebars are pictures, graphics and/or texts that appear and are placed outside of the margins of the remainder of a text or within the text itself when they are walled off and distinctly differentiated from the rest of the text. These sidebars feature some important detail about the content of the text. 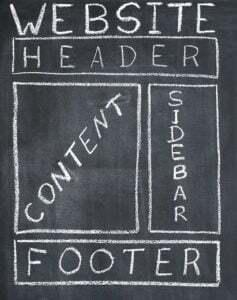 At times, the content of the sidebar may also be found verbatim in the text and, at other times, the content of the sidebar is not found in the text itself but the sidebar does amplify and emphasize an important detail in the text. Students often ignore the sidebars found in their text books. These sidebars should not be ignored because they are often a highly important fact or detail and sidebars not only assist the reader with their reading comprehension; they are also often tested on a college exam because they are important facts. We cover this particular area of interest within Writing Styles Used for Research Papers and Academic Writings. The key or legend which includes information about the symbols found on the map. The glossary of a text is an alphabetical listing of words, terms and their abbreviations which are found and used in the book. The glossary is typically found at the end of a book before the index. The reader of a book can use the glossary to look up an unfamiliar word or term that is encountered when one is reading the nonfiction book. The table of contents has the headings, and often, subheadings, of the contents of the book. The table of contents is used by the reader of the text to readily locate information and sections of a book without flipping through all the pages of the book to find the information or section of the book that one is looking for. A table of contents can be found in both fiction and nonfiction books, including textbooks. The index of a book is the last section of a book. An index contains words which are found in the book and the page or pages where the words or phrases can be found. The index allows the reader of the text to readily find information about the word that they are looking up. Other media, particularly internet media and texts, have several helpful features that allow the reader to do research and understand or comprehend the material that they want to understand and comprehend. A search engine is a computer software program that searches of information on the World Wide Web. It is similar to the index of the book. The user of the search engine types in the word or the words that they would like more information about and then the search engine rapidly returns results so that the person doing the query can open these active links and see the information that they searched for. When these active links are clicked, the search engine rapidly, and almost instantaneously, brings the person to the website that they want to see. The results of the search will return a collection of articles, images and other types of information. Popular search engines include Google.com, Bing.com, DuckDuckGo.com, etc.